World Martial Arts Union (WoMAU) was established in Chungju, Republic of Korea, in October 2002 by representatives of 28 countries participating in the Chungju World Martial Arts Festival. It is the first ever universally open-ended entity of the world martial arts organizations (as of 2015 December, 60 martial arts organizations from 40 countries are members) with the purpose of serving them as the institutional focal point for the martial arts communities around the world to promote friendship and help each other to foster martial arts both as sports and cultural heritages. WoMAU globally preserves and disseminates the original forms of traditional martial arts and develops the skills and cultural values of martial arts through various events including Chungju World Martial Arts Festival, General Meetings, Seminars, Youth camps and others, while promoting martial arts’ innate orientation for peace both regionally and globally. In its early days, WoMAU noticed the cultural values of martial arts and knocked on the door to UNESCO in order to effectively promote its relevant activities under the recognition that martial arts are valuable heritages to humankind worth preserving. As a result, in 2009 WoMAU obtained an official partnership with UNESCO with the consultative status and was also accredited as an advisory NGO to its Inter-governmental Committee for safeguarding of intangible cultural heritages in 2010. As a result, in 2011, Taekkyeon, traditional Korean martial art, was listed for the first time on UNESCO’s Representative List of Intangible Cultural Heritages of Humanity. Domain(s): Traditional martial arts have 2 aspects of rituals and festive events. 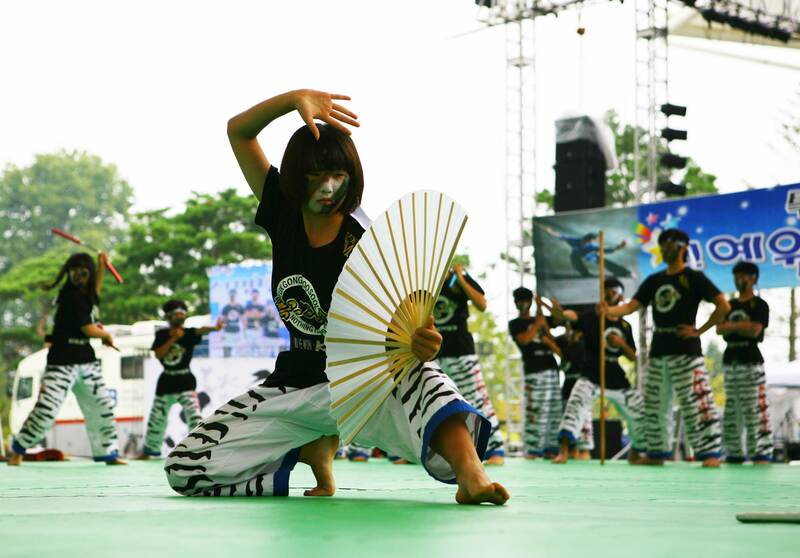 WoMAU hosts Chungju World Martial Arts Festival inviting our member organizations every year, which are mainly practicing their unique traditional martial arts. 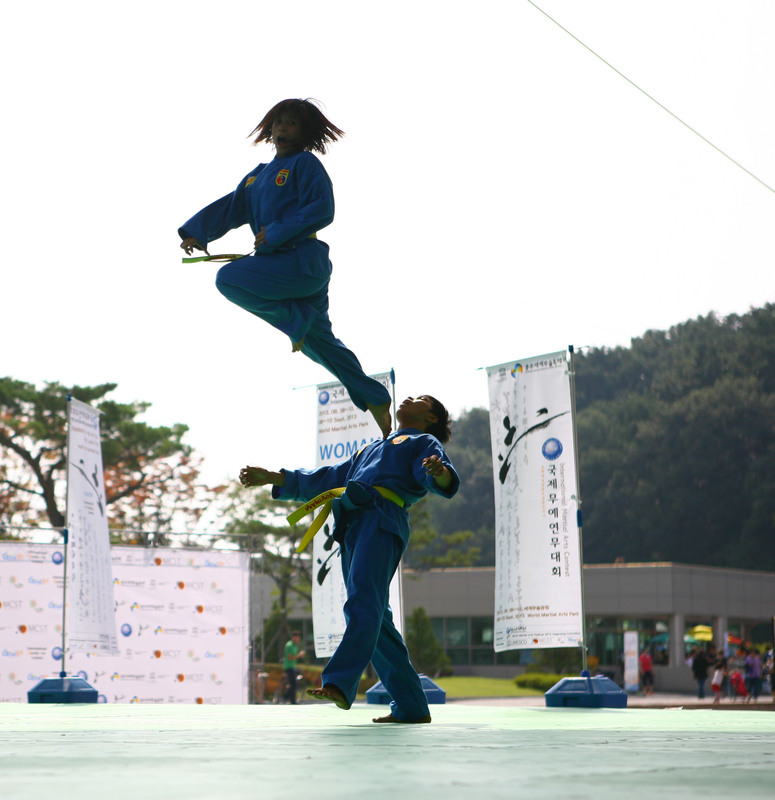 The International Martial Arts Contest, main program of Chungju World Martial Arts Festival is held in the form of demonstration as performing arts and competition. Furthermore, taking into account the educational effect of martial arts for youth, WoMAU has tried to establish the martial arts-related international centre for youth development and engagement under the auspices of UNESCO (Category 2) and succeeded in attracting it to Chungju, Korea. Main Safeguarding measures: WoMAU is carrying out research, preservation, protection, promotion, enhancement, documentation, transmission, (non-) formal education in the fields of traditional martial arts through global and local events with members such as Chungju World Martial Arts Festival, General Meetings, Seminars, youth camps and other martial arts exchange programs. WoMAU publishes information books and biannual WoMAU News magazines containing WoMAU and its members’ activities as well as the experts’ martial arts columns and a world martial arts compendium. WoMAU also introduces and archives global martial arts on its website. Thank you for all your organization does to bring martial arts to the youth of the world. Kindly develop a short term course for Women Self Defence.